Archive photo of Navagio (Shipwreck) Beach on Zakynthos. 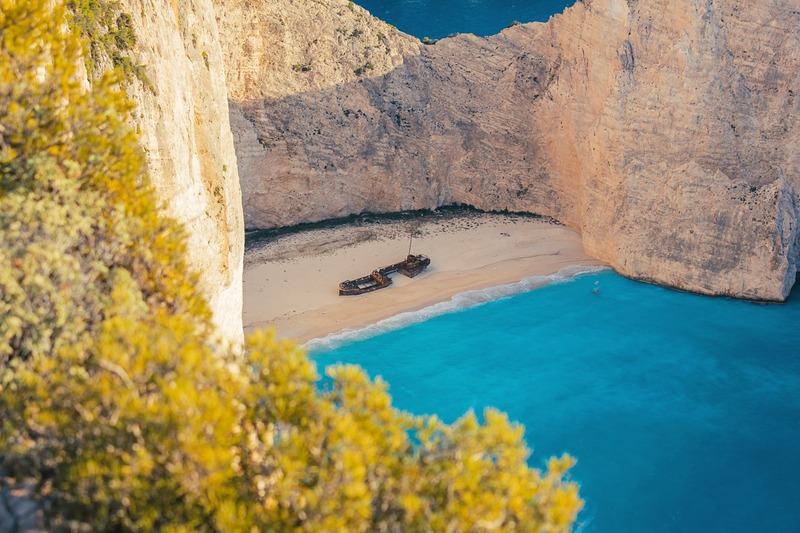 Access to the world famous Navagio Beach on the Greek isle of Zakynthos has been prohibited until further notice after a landslide on Wednesday, injured seven people. One of the world’s most visited and photographed beaches featuring the shipwreck Panagiotis, Navagio Beach is accessible only by boat with thousands of tourists visiting in the summer as well as BASE jumpers, who host the yearly Go Fast Games there. On Thursday, a large part of the limestone cliff towering over the beach fell into the sea below overturning small boats in the bay. Seven people, among them a 34-year-old Czech woman with a fractured vertebra, were taken to the island’s general hospital for treatment while fire brigade, port authorities and a Super Puma helicopter with rescuers were sent to the spot. According to Zakynthos port authorities, all visitors to the remote beach on that day have been accounted for and none of the injuries sustained were life-threatening. so is it closed now or no, and if, for how long? only the beach, or the view too? Hello Danka and thank you for your message. Yes, the beach is closed until further notice. According to an announcement by the Port of Zakynthos, only access to the beach by boats has been banned until further notice.